Episode 99 Happy Friday Eve! Today on DT we had a couple of the cast members from Chitty Chitty Bang Bang stop by and give us the rundown on what’s going on with the play that the Brewton Town & Gown Players are performing starting tonight and will run through Sunday, July 22, 2018. These shows are great for the whole family and we can’t wait to see this one. Moving on we get one of the OG’s on the phone Jeremy Lull (J Lul) and DJ gets J Lul to elaborate on his “entrepreneurial” spirit back in college and his franchise opportunity he had with....well listen and find out...it’s well worth it! A big announcement coming tomorrow that will redefine the landscape as we know it around Murder Creek so get ready to be SHOCKED! Last BUT certainly not least we called in to Mediacom’s Customer Service just to ask exactly why they are down so much and well you can imagine how that went. Thanks for listening! Episode 98 Happy Tuesday! Getting back in the swing of things is hard after being gone for over a week. However we all knew it wouldn’t take long before DJ & KJ finally lost it and just couldn’t hold it in anymore. While DJ sits on one side of Woodfin Patterson Auditorium enjoying the Brewton Town & Gown Players performance of “Chitty Chitty Bang Bang” we learn that if you see him walking down the hill to Arby’s afterwards...LEAVE HIM ALONE! Check out the rest of the craziness! Thanks for listening! Episode 80 Just another Manic Monday! Topics of the day range from Big Kahuna’s in Destin, Florida to more BIG KENNY stories. Thanks for listening! If you like what you hear give us a 5 star rating if not let us know what we can do better. Episode 77 Wednesday, June 6, 2018. Today on the show we kick things off with youth sports specifically travel ball and the economics involved. We turn quickly to community events and then on to the main topic the Hwy 41 “Riverview’ Bridge. This is a great show as we ask some tough questions and start moving towards getting some good answers. Thanks for listening! Episode 76 Happy Tuesday! Today on DRIVE TIME we discuss a boy and a bear, hunting Bigfoot LEGALLY, the all new Broke Legg Studios Show “Slow Cooking with Pork & Bean”, Hank Adam Locklin and as always you get an accurate weather “aftercast”. Thanks for listening! Episode 2 Tonight on CLOBBERIN’ TIME it’s the 27 club! Musicians, actors and other people of note who were 27 years old at the time of their passing. Rob takes us on a classic trip through the years of great music and well not so great music 😉 and KJ doesn’t seem to agree with some of the opinions that Rob has on a few of the bands mentioned. As always there is a little wrestling talk thrown in as well. Opening and closing song provided by Fly By Radio! Thanks for listening! Episode 67 Happy Tuesday! Stories old and new today as we talk the DASHBASH, family stories and cake walks! 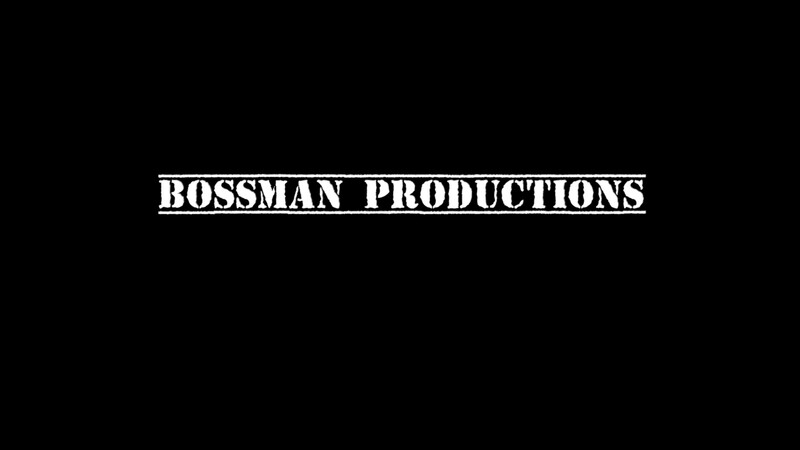 WBOSS (THE BOSS) BOSSMAN RADIO is up and running! Check it out at http://player.live365.com/a16402 Subscribe to our YouTube Channel at www.YouTube.com/c/BossmanProductions Subscribe to our podcast at www.bossprollc.podbean.com Follow us on Instagram at http://instagram.com/bossprollc Follow us on Facebook at Facebook.com/groups/drivetime Add us on Snapchat at bossprollc Catch up with us on http://Twitter.com/bossprollc Thank you for watching, commenting and most of all supporting BMP! Episode 65 Happy Fri-Yay! Collin McMillan in the “Drivers Seat” this morning talking about CodeWord Hats. Collin a long time friend and great friend of our community. Check out these really cool hats at www.codewordhats.com WBOSS (THE BOSS) BOSSMAN RADIO is up and running! Check it out at http://player.live365.com/a16402 Subscribe to our YouTube Channel at www.YouTube.com/c/BossmanProductions Subscribe to our podcast at www.bossprollc.podbean.com Follow us on http://Instagram.com/bossprollc Follow us on Facebook at Facebook.com/groups/drivetime Add us on Snapchat at bossprollc Catch up with us on http://Twitter.com/bossprollc Thank you for watching, commenting and most of all supporting BMP! Welcome to the BMP family reunion! Episode 61 Happy Manic Monday! The show today was all about the DASHBASH and the official announcement over the weekend. Also this coming weekend is the BIG ONE...The 109! WBOSS (THE BOSS) BOSSMAN RADIO is up and running! Check it out at http://player.live365.com/a16402 Subscribe to our YouTube Channel at www.YouTube.com/c/BossmanProductions Subscribe to our podcast at www.bossprollc.podbean.com Follow us on Instagram at @bossprollc Follow us on Facebook at Facebook.com/groups/drivetime Add us on Snapchat at bossprollc Catch up with us on Twitter @bossprollc Thank you for watching, commenting and most of all supporting BMP! Welcome to the BMP family reunion! Episode 55 Happy Throwback Thursday! So to set the record straight...I did NOT say that word. It sounded like it but my tongue got a little twisted! 😂😂😂 Quickly jumping into the show we talk about the upcoming events in our area. Next week is Teacher and Nurse Appreciation Week and we have a great week planned to show our appreciation for these two great professions! Wrapping up the show we talk about skating, The 109 and remind everyone to get ready for the DIRTY THIRTY CONNECTION! WBOSS (THE BOSS) BOSSMAN RADIO is up and running! Check it out at http://player.live365.com/a16402 Subscribe to our YouTube Channel at www.YouTube.com/c/BossmanProductions Subscribe to our podcast at www.bossprollc.podbean.com Follow us on Instagram at @bossprollc Follow us on Facebook at Facebook.com/groups/drivetime Add us on Snapchat at bossprollc Catch up with us on Twitter @bossprollc Thank you for watching, commenting and most of all supporting BMP! Welcome to the BMP family reunion! Episode 47. Happy Manic Monday! Kicking off the show with a recap of the 9th Annual David’s Catfish Crawfish Boil and what a TREMENDOUS SUCCESS it was! Next up was the failed attempt by Captain of the Kai’s, Tony (Tonya) Burnham, to get DJ to agree to a very conditional surrender. Moving on from there we recapped the show from last Friday and what an amazing young man that Tyler Carach is and we are looking forward to having him back on again! Tony (Tonya) couldn’t stand it and had to call in and spew some Kobra Kai propaganda. Rounding out the show we talk about how GREAT the biscuits, tomatoes gravy and bacon is that Mrs. Lavenia Pettis made and Sara W. brought in to us! It’s great to be able to still get Bracken’s from time to time! 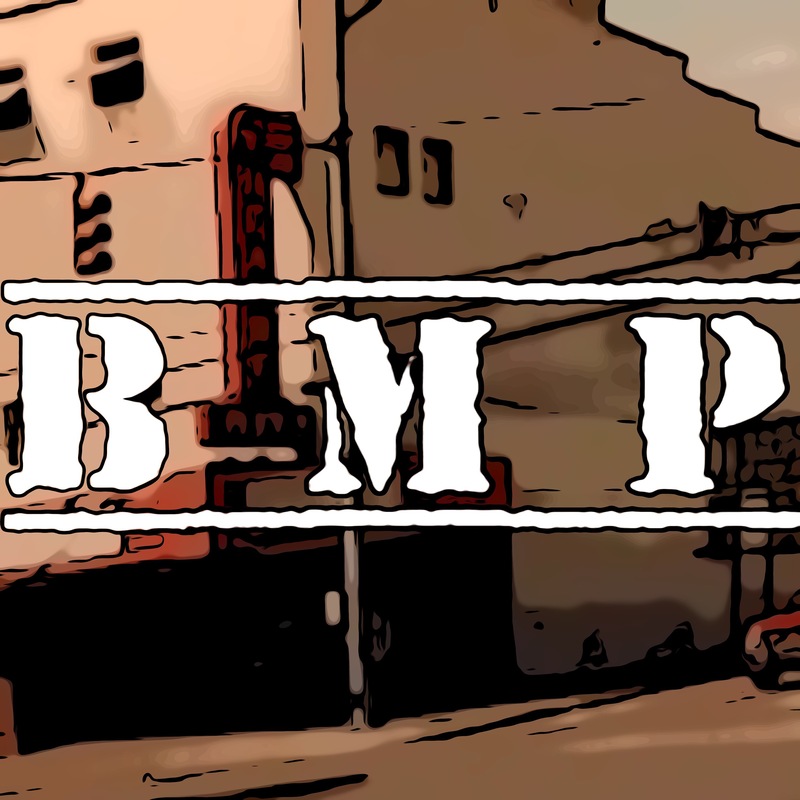 Thanks for listenening and supporting BMP! Episode 46 Happy Fri-Yay! Today we had the privilege of meeting a very special young man who has served over 50,000 doughnuts to law enforcement officers, firemen and first responders all over the country! Tyler “The Donut Boy” Carach was in the “Drivers Seat” today and WOW what an amazing story this young man has to tell! Thanks to all the law enforcement, firemen and first responders who came and participated in this wonderful event where 1,000 Krispy Kreme doughnuts were served and let’s just say that was a BIG hit! Special thanks to Sheena Carach for sharing her stories from the road and for helping Tyler to achieve his goal of feeding EVERY POLICE OFFICER in the country a doughnut! Today we salute the men in blue, the guys who fight the fires and the emt’s who respond fast and furious to every call. This is a show we won’t soon forget and I’m sure we will be seeing a lot of Tyler in the future!